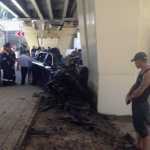 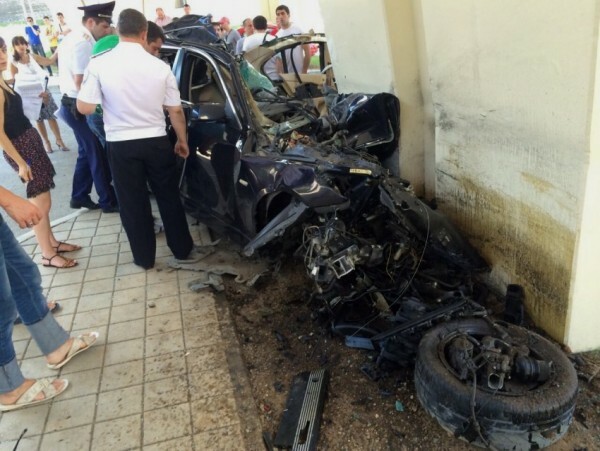 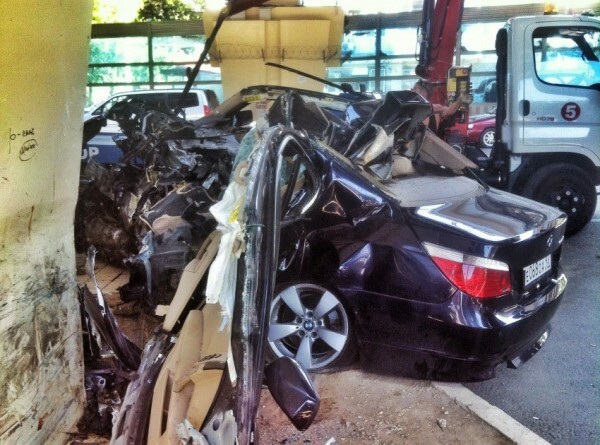 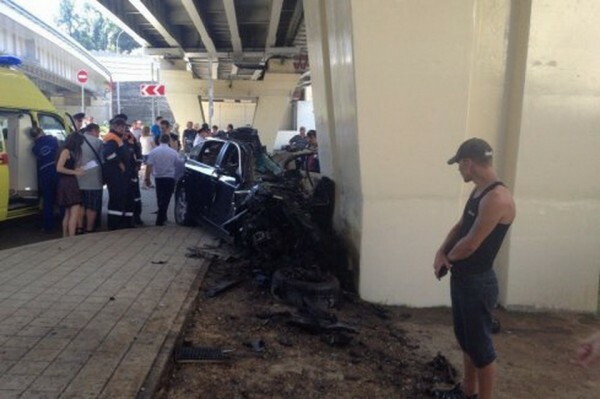 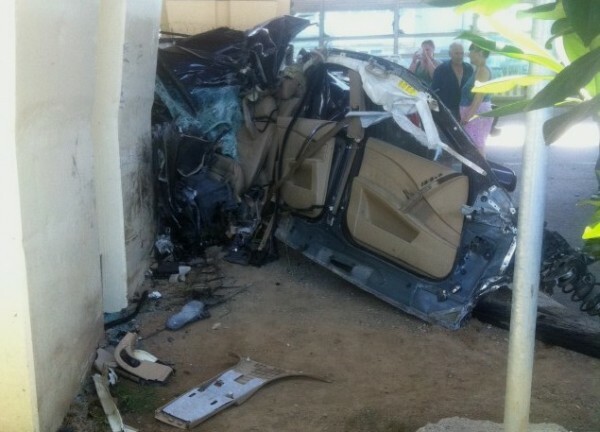 German car slammed into a concrete pillar that holds the overpass. 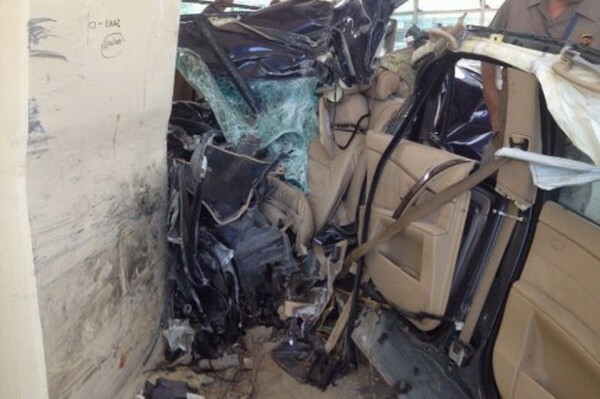 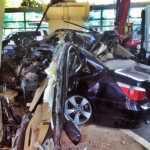 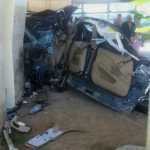 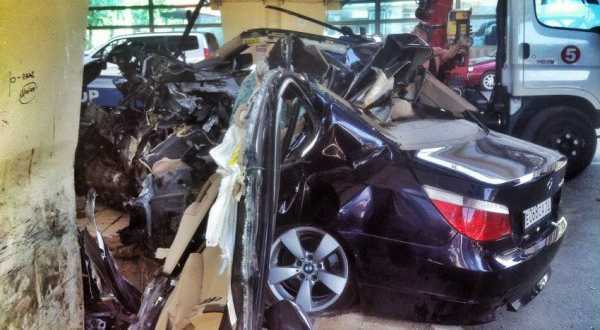 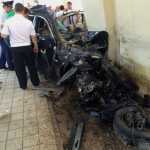 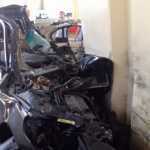 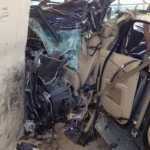 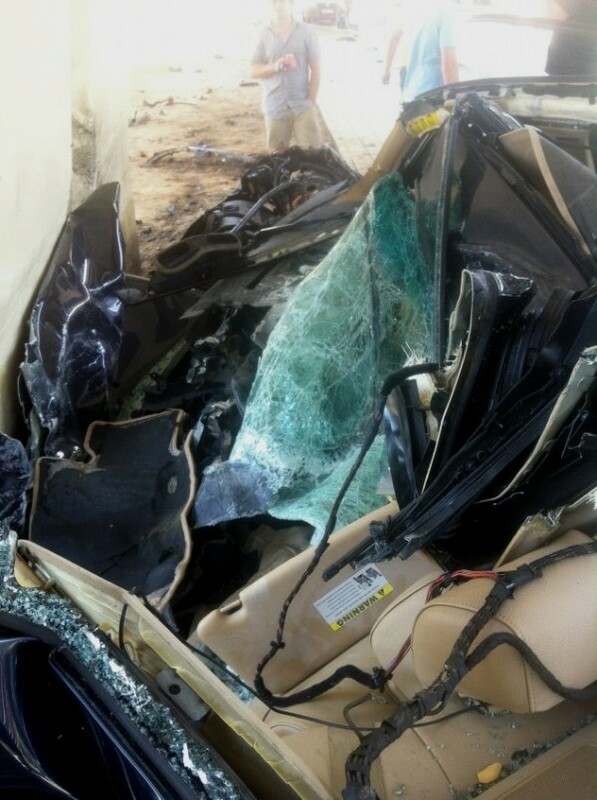 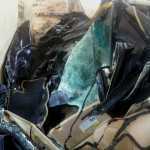 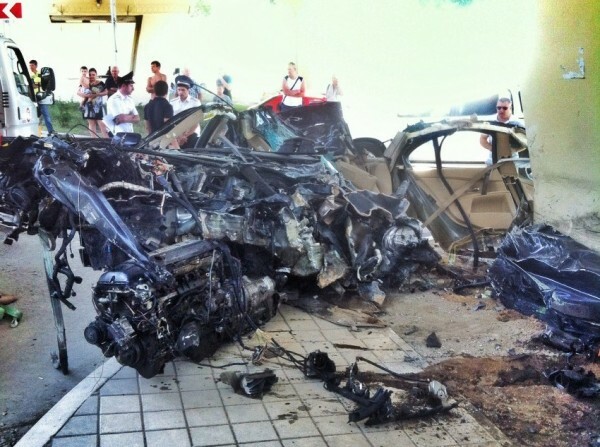 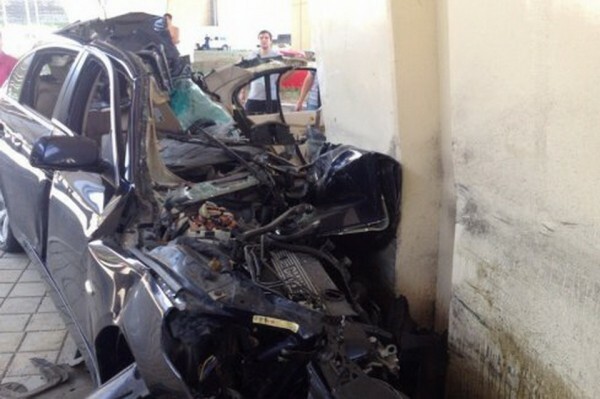 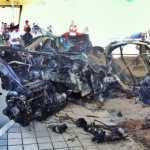 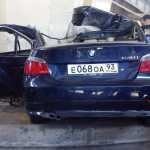 The blow was so strong that it broke the whole side of the car as if it were made ​​of paper. 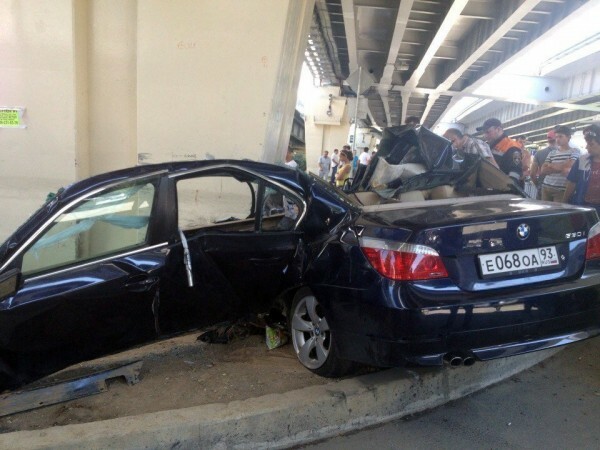 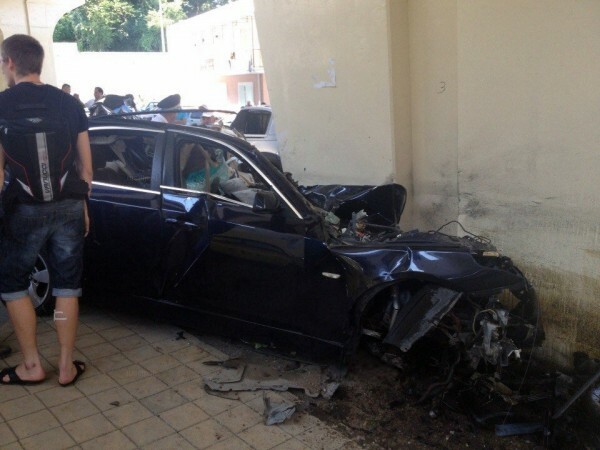 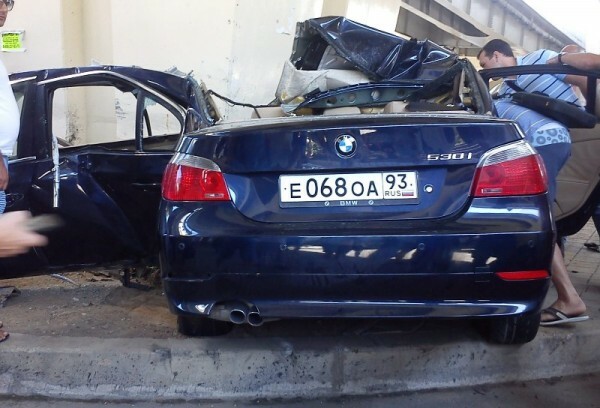 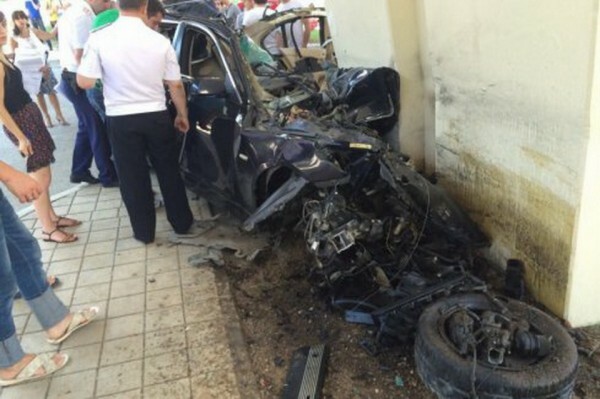 Local news on the TV Sochi have announced that the driver survived difficult injury and that he was alone in the car at the time of the collision.